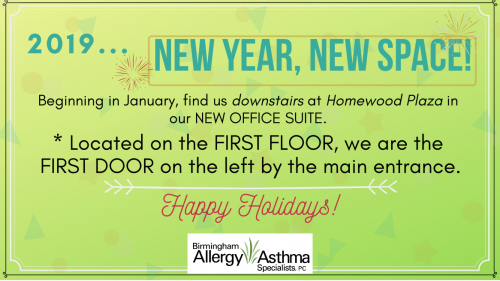 Weather Advisory for Wednesday, February 12, 2014 | Birmingham Allergy & Asthma Specialists, P.C. Due to the inclement weather headed our way, allergy shots will be stopping at 4:00 pm at Homewood Plaza and 2:30 pm at Beaumont Village. We hope everyone stays safe and warm while this weather passes through.